Creating an allergy friendly home requires a certain amount of effort, but the results are enormously beneficial to you and your family. The potential list of to-do items can be daunting, so we’ve have assembled the first line of action items which should be on your ‘to do’ list. Being proactive is the key to preventing the growth of mold in your home. Make sure to repair all sources of leaks, such as windows, roofs and plumbing. Then, use a household bleach solution to kill any visible mold. Finally, install and use exhaust fans in bathrooms and kitchens where moisture accumulates. Do not plant trees or big bushes near the outside walls of your house, as they tend to draw in moisture, which can then later cause mold and mildew problems. 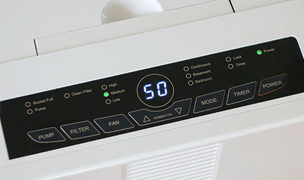 Use an air conditioner, which is a great way to keep outdoor allergens at bay while helping keep the humidity levels below 50%, which is necessary for mold and dust mite control. 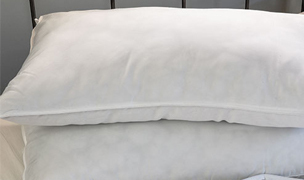 Make sure that your bed and all bedding are made of natural materials, which are inhospitable to mold and dust mites. 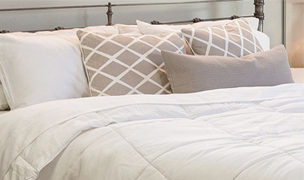 Our favorite natural materials include silk, wool and cotton for the bedding and latex for the mattress or pillows. Cover your mattress with a dust mite cover as the first line of defense against dust mite allergies. They are now available in high quality cotton and are light, breathable and supple to the touch. Dust mites feed off of skin flakes so by using a dust mite cover you cut them off from their food source, eventually killing them. 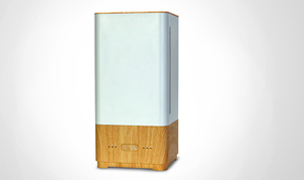 Monitor the humidity in your house with a humidistat and use a dehumidifier in summer to prevent the growth of dust mites and mold. 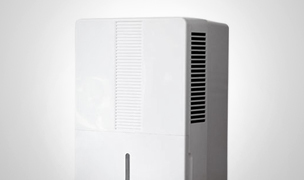 If you have a basement, a dehumidifier is a ‘must have’ for mold control. 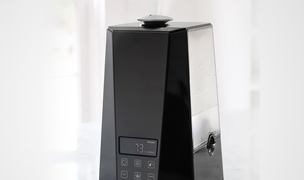 Use a humidifier in winter to moisten the air to prevent nosebleeds and sinusitis. 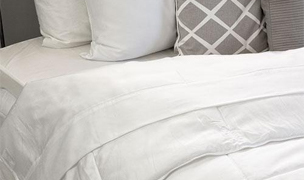 Wash your bedding once a week in 140Â° F water or steam clean it with a vapor steam cleaner to kill any accumulation of dust mites. 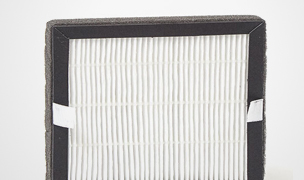 Use a high-grade furnace filter to eliminate air pollutants in your home. 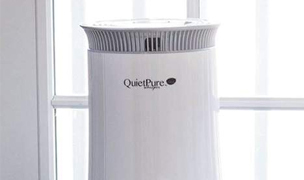 This will help reduce the dust and larger particulates from accumulating. 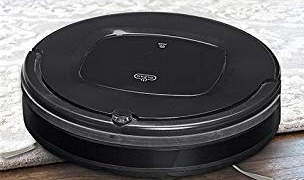 A good HEPA vacuum should also be part of your war against allergens. 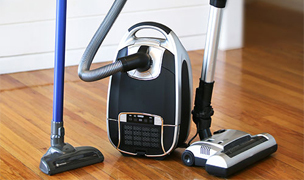 Diligently vacuum settled dust particles to prevent them from being disturbed and put back into the air,where you could breathe them in. 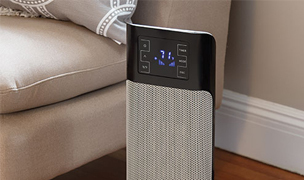 A first class HEPA air purifier will trap the tiny lung-penetrating particles – the kind that cause all the problems once they get into your bloodstream. 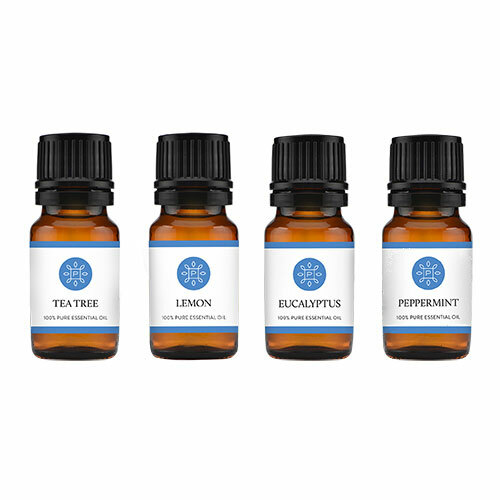 It’s an absolute must for allergy sufferers. Clean up the clutter. 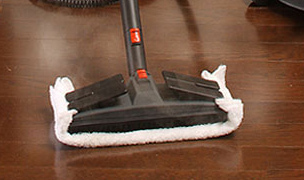 Clear away the carpets, give away the knick-knacks and minimize the surfaces on which dust collects. 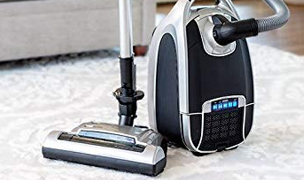 Use a vapor steam cleaner to rid your home of chemicals accumulated through years of cleaning with household chemicals. A vapor steam cleaner will sanitize your home so it is free of bacteria and other pollutants and leave it smelling fresher than ever! The air outside is nearly always better quality than the air inside, so don’t forget to give your house a good airing every day. We recommend opening the windows for at least an hour, then closing the windows and putting the air purifiers on high. 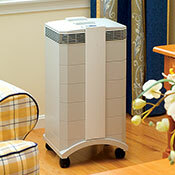 Your air purifiers cannot work effectively if you keep the windows open. Environmentally safe ‘wet cleaning’ is now available as an alternative to dry cleaning clothes. We think it is worth the added expense. Wash your hair at night during the pollen season so that pollen does not drop onto your pillow at night where you can breathe it in. While we think it is possible for many people with allergies to live with pets, we think your bedroom should be a sanctuary. So keep them out of there! Vigilant maintenance is required to keep your home healthy. 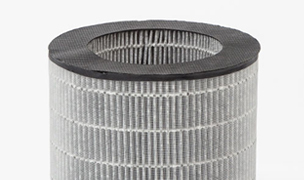 Remember to change or wash your furnace filters, clean your humidifier, change your air purifier filters on schedule and change the bags and filters on your vacuum. Otherwise, all your hard work will be for naught. 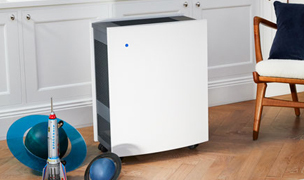 Do not expect your air purifier to absolve you from housekeeping. 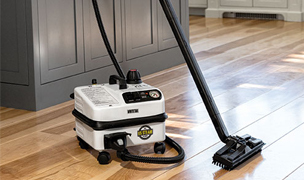 You will still need to dust with a damp microfiber cloth or vacuum accumulated dust from your floors by using your Hepa vacuum attachments at least twice a week. 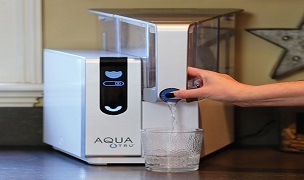 For further educational information on allergen control and helpful reviews on our products, please visit our website at AllergyBuyersClub.com. 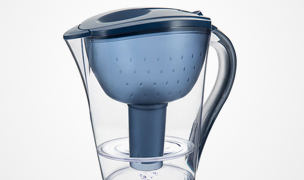 All of our products have been very carefully chosen after rigorous testing by our product testing team. See our online allergy relief store!